Square drop enamel earrings with a circle pattern in blues and reds. The square is 12mm in size and the ear wire is sterling silver. 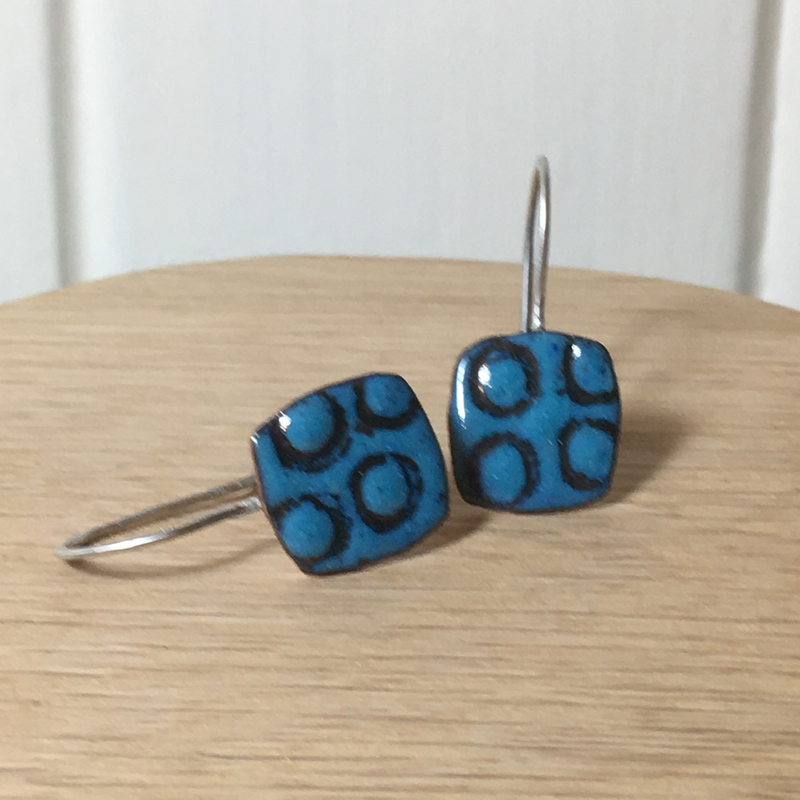 Great earrings for everyday wear. 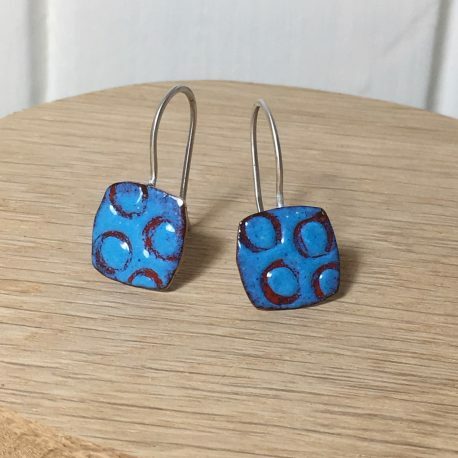 Square drop enamel earrings in blue and red with a circle pattern on the surface. 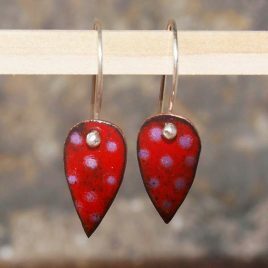 Copper enamel spot leaf shape drop earrings in deep red and pink spots. 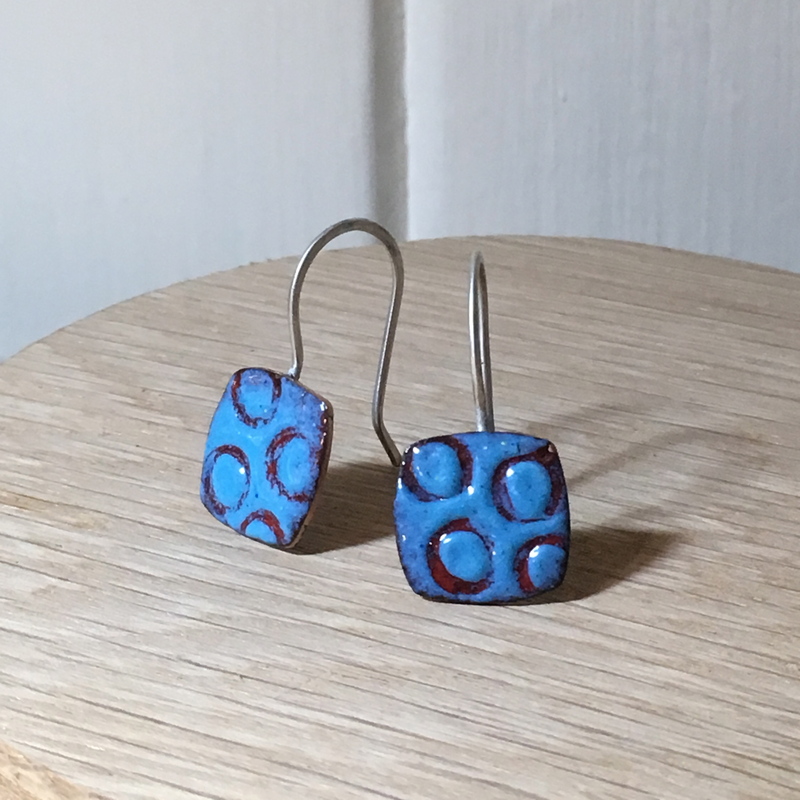 Great colourful earrings for everyday wear. The ear wires are hand forged from sterling silver wire and the length of earrings is 3.5cm. All My Cherry Pie Jewellery is delivered gift ready in a hand stamped cotton linen gift pouch. 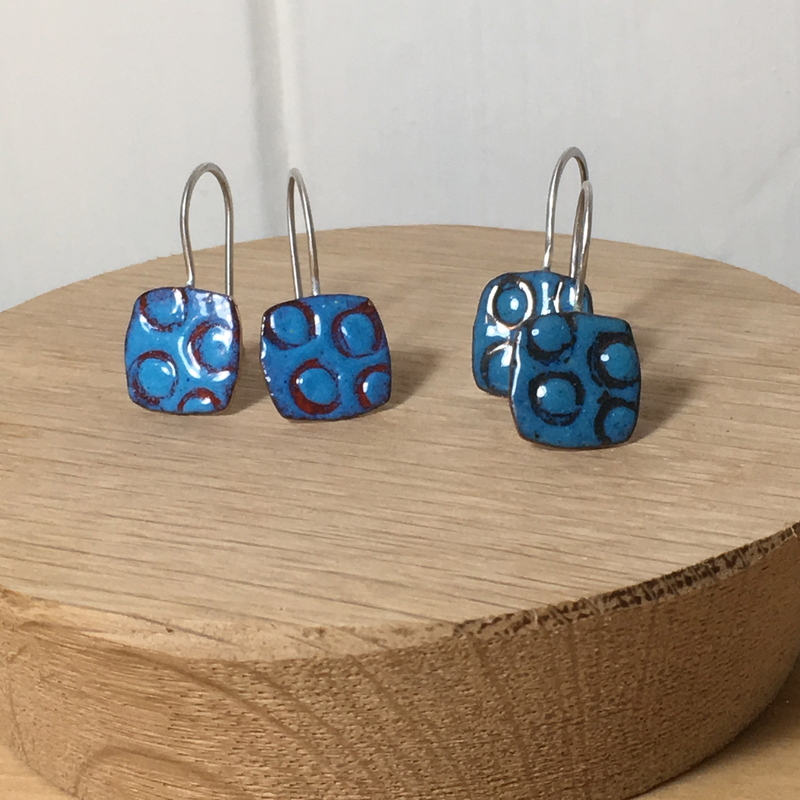 I am so pleased to show you these enamel on silver earrings I have made for you. 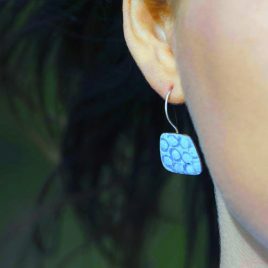 The beautiful bright sky blue transparent enamel works really well to highlight the textured silver surface below. 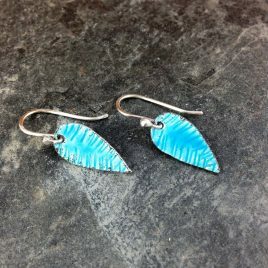 The earrings have a very elegant leaf drop shape which have been finished with handmade sterling silver ball ear wires. The size of the earrings is 3.5cm or 1.5" drop. All mycherrypie jewellery is delivered in a gift ready hand stamped cotton linen gift bag. Thank you for showing an interest in my work and please have a look at similar items in my shop.